When you can't find the proper motivation, and start feeling like you're repeating yourself by posting blogs about the same thing over and over again - your saviour is having a steady rock to lean on. I'm talking about those safe cards that you only want to play when you really have to. We have a few solid ideas how to get back on track. So, in order to simplify your everyday marketing, here is an example of what an inbound marketing campaign can look like - to get you started in no time! First and foremost, you need to be aware of that the inbound marketing process may nog happen over night. It's a process that will help you grow over time. Launching a campaign that is ready doesn't take a month, in many cases six months won't even be enough. Be patient, the results will come. In time. To get started, you need to identify your SMART-goal, buyer personas, and the buyer's journeys which your personas will move through in order to eventually become customers, and later: ambassadors. Then, you need to make a decision about content. Do you have all the necessary premium content for your journeys? What about blog posts? Conduct a thorough keyword research and setup a blog calendar (optimised blog content will drive traffic to your site). Those two will be game changers. In addition, think about: social media, a second keyword audit, how to reach industry thought-leaders and inspiration for blogging... the list continues. The purpose of the campaign is, during one year's time, to drive traffic to your website and/or blog by running a clear inbound marketing campaign to build brand awareness. Since we've divided the campaign into four quarters, it's easy to follow-up each stage before entering the next - rather than planning each quarter as you go. Conduct a comprehensive keyword research to ensure you're attempting to rank in the SEPR for the correct keywords. Also, identify which words may be too hard to go for today (that could be more realistic at a later stage). Also, make sure to analyse your long-tail keywords (if any). If you don't have any long-tail keywords, start researching a few variations. You have a few options when doing this. The first option is to use an SEO/SEM-tool such as SEMRush or Moz. The second option is to make a simple Google search for your specific keyword, scroll down to the bottom of the page and take a peek at the "searches related to.."-section to see what others may have searched for in addition to your keyword. The results may be good examples for long-tail keywords. When your keyword homework is completed, it's time to start planning your blog content. Important to take into consideration is that - if your blog post doesn't correlate with your keyword, the results will be thereafter. Non-existent. You won't reach the Google results you aimed for, since Google can't relate your blog post to what you say the post is actually about. Instead, make a thought through plan and take use of a good content calendar for this purpose. Excel sheets in all their glory, but they quickly get outdated. They can't remind you to post your blogs, aren't integrated with your CMS and won't help you post on your social channels. By using a proper content calendar, you keep everything of importance in one place: planning, structure, reminders, delegated tasks... and so on. You will remember to publish content to your blog, Facebook or LinkedIn and at the same time have a good overview of the entire project/campaign. HubSpot has a built in calendar, but if you don't use HubSpot for marketing, you could for example add another calendar to tag, or use a task management tool such as Trello or Wrike. Do you already have a lot of content that could be relevant to this campaign? Great! Let's use it. Update the texts by adding your new and updated keywords (and links to other relevant blog posts) to improve SEO rankings. It may be self-explanatory, but the planning, writing and publishing must continue at all times to ensure you stay top of mind for your visitors and remains relevant for Google. 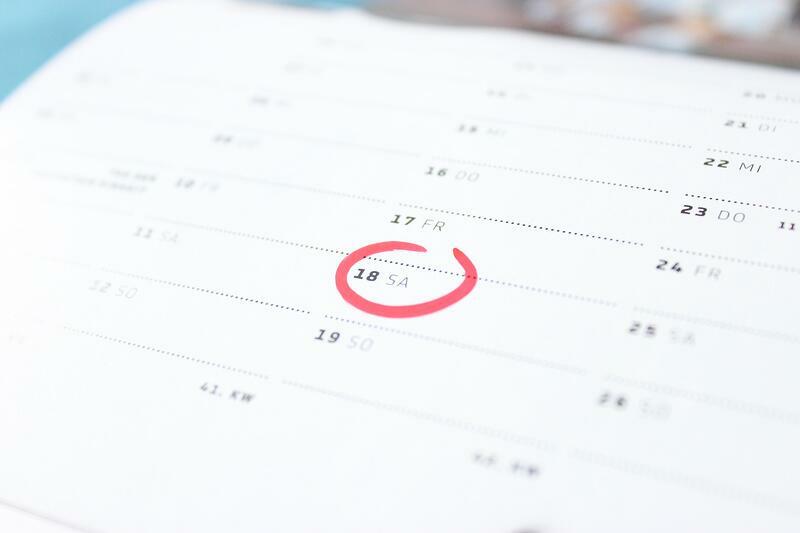 Use your eminent content calendar to ensure consistency. The content process never stops. It's a monster that needs constant feeding. To establish a stable foundation, pillar pages could be considered. Are there any topics for which you could create a cluster of blog posts, and a wiki-like page for? Pillar pages are great for SEO purposes. Analyse different social media networks in order to identify the platforms where your (potential) customers go for information. Once you know where they are found, develop a strategy for sponsored posts and ads to promote relevant, timely content into their feeds. Perhaps webinars are of interest as sponsored posts? Or in-depth white papers? If so, these are the ones to promote to your visitors. TIPS! By using HubSpot, you can also keep an eye on your competitors social media activities, engagements, and so on. A really crisp feature, actually. Similar to the last quarter (Q2), the focus should be on content production. More premium content? How is the blogging going? The well-known secret to success: continuous publishing of new content will drive traffic to your site. Relevant content, obviously. Not junk. Continue to sponsor your blog posts on the social media platforms where the personas go to for information. Maybe it's LinkedIn, maybe it's Facebook or Instagram. In addition, continue to update older content (if any) by adding your new keywords and internal links. I'll keep telling you this. Content is king. Also, make sure your colleagues share your content through their private social media accounts to spread the word. Maybe you have a colleague who is considered a thought-leader is his/her field? Use that! Go back to your list of keywords that you put together during Q1, as well as the related blog posts. How did they perform? As expected? Better? Not so good? Perhaps some of the words turned out to be too hard to rank for? Maybe there are better alternatives to make sure you separate yourself from the competition. Meanwhile, some keywords may have been spot on. Continue to focus on them! Your competitors will never take a break, so why should you? Make sure to add new content ideas to your content calendar to make sure you stay on top. Especially if you update your selection of keywords. We are almost done! Make sure to continue to follow you set publishing schedule. Are you running out of ideas? Ask your colleagues for more. You're not an island. Also, continue to sponsor posts on social media, but make sure your target audience becomes more crisp by adding/subtracting those who are proven not to be interested. Previously during the campaign planning, we have been focusing mainly on sponsored posts. Now it's time we spice it up and start communicating real value based on what we know so far. It's time to start testing som PPC (Pay-Per-Click) Ads through Google Ads (previously known as Adwords). These are the "top results" in the Google search results marked with an "ad" label. This means the company only pays when someone clicks the link, not per view. Since you are restricted to a set number of characters, you can beneficial from using A/B-testing when using ads. Test a few variations to see which one works best. Learning by doing at its best. Put together a list of potential industry thought-leaders, and other distinguished individuals, to write Guest Blogs for your company. On one end, you're building relationships to micro influencers within your field, but you're also extending your reach - opening up for more visitors, leads, customers and ambassadors in your own network as well. This is one of many different campaigns you can run, that will take you relatively far. Especially if you have several business goals. In addition, the campaign activities stretch over an entire year and is divided into four long sprints. Some campaigns may be a lot shorter than that. It's really tough to run a campaign without any planning och context. Your marketing campaign doesn't just contain of a few marketing initiatives. It's all so much bigger than that. Your marketing efforts need to follow a thought through plan, with clear activities, target groups and goals with a longer perspective. Maybe a year, as in my proposed case. Maybe shorter. Do you need a helping hand when putting the plan together, or is that too big of a project? Don't worry! We have collected all of our best tips and trix in our 30+ pages e-book Inbound Marketing Plan 2019. Download is and get going with your marketing plan today! Disclamer: the e-book is currently only carried out in Swedish, but keep your eyes open -- we plan on launching an English version.